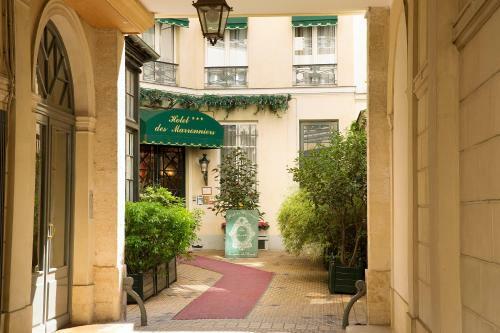 Hôtel Des Marronniers is located in a quiet courtyard in the heart of Saint-Germain-des-Près. 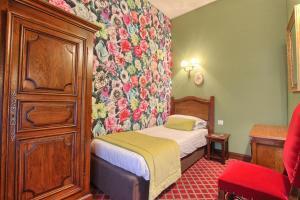 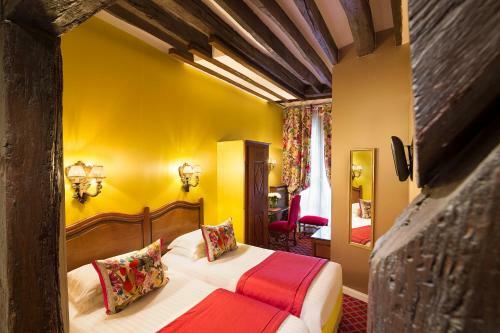 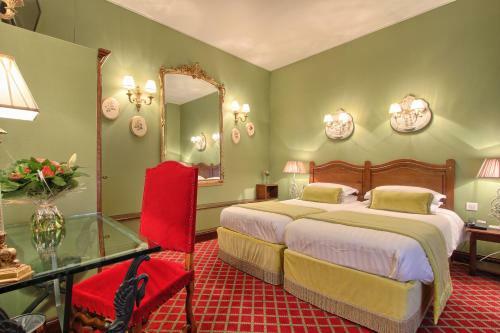 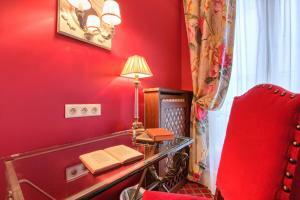 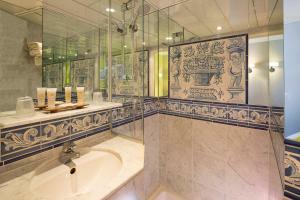 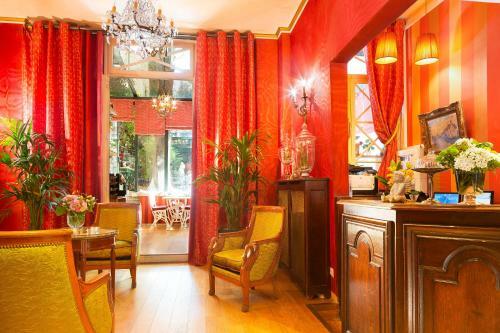 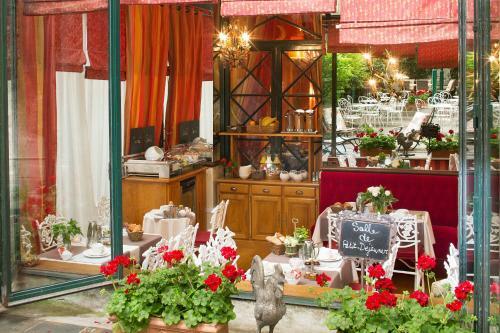 It is a 3-star hotel dating from the Henri IV period and offers an interior garden. 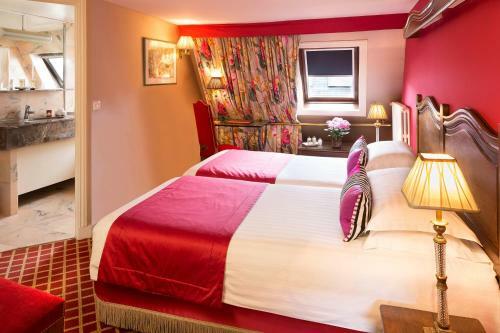 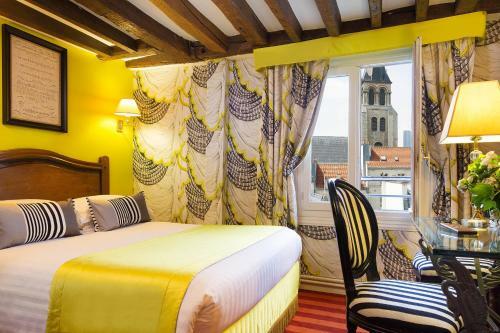 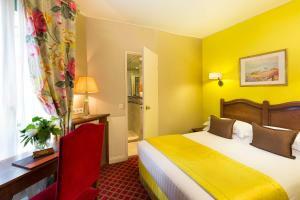 Rooms at Des Marronniers have different colour themes and feature wooden furniture. 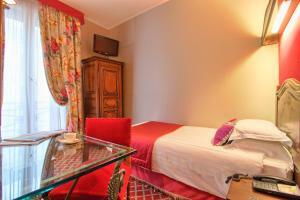 All have an LCD TV and Wi-Fi access and some have views of the courtyard, gardens or Paris’ rooftops. 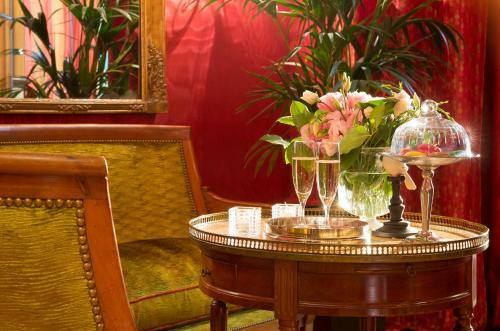 Breakfast is served in the guests' room, on the Napoleon III veranda or under the chestnut trees in the quiet garden. 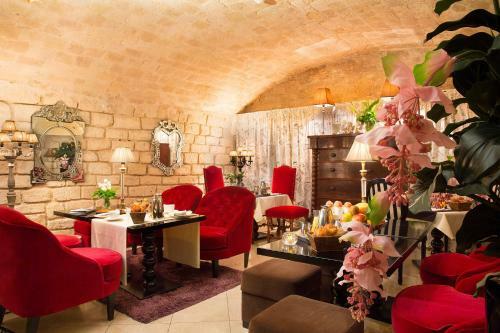 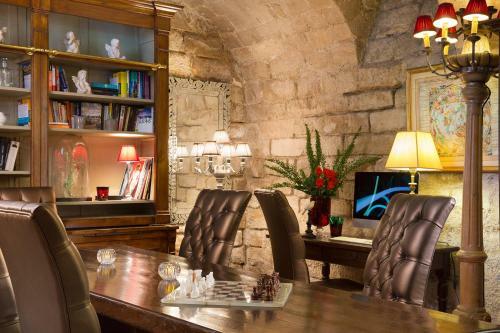 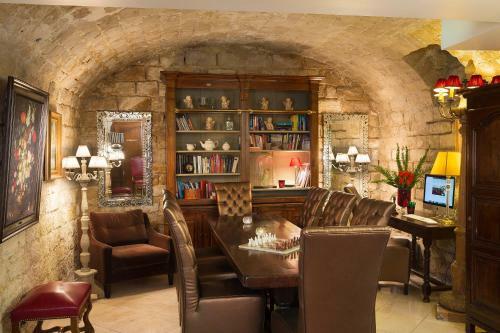 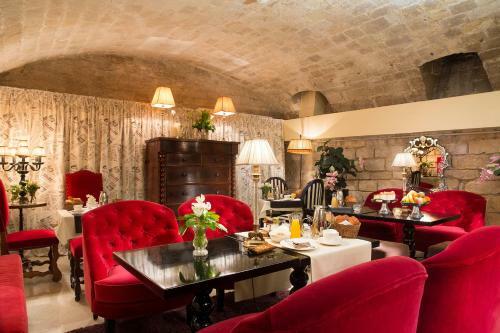 The hotel also has a bar in the vaulted cellar where guests can relax in the velvet armchairs. 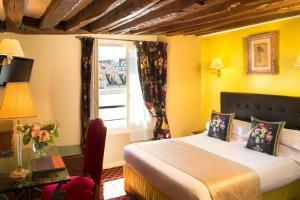 Additional facilities include Wi-Fi throughout Des Marronniers and a 24-hour reception. 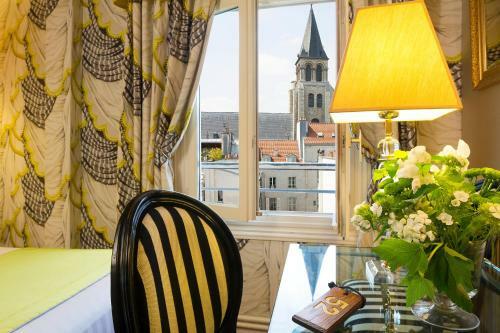 The nearest metro station is a 4-minute walk away, which provides access to sights such as Notre Dame Cathedral. 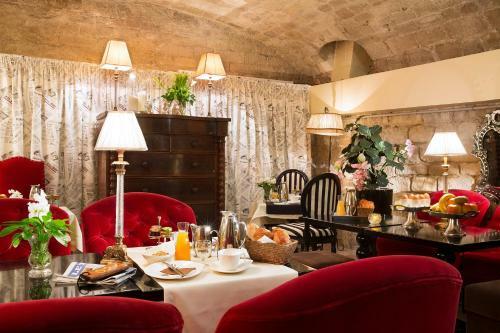 Please note that extra charges apply for breakfast served in the guests’ room. 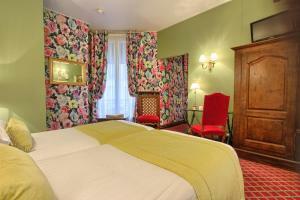 Please note that the maximum capacity of the room booked must match the number of guests upon arrival. 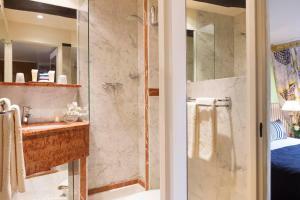 The rooms are non-smoking only, if guests do not respect this rule the property may charge 1 extra night as penalty. Featuring period furniture and a marble bathroom, this room includes satellite TV and free Wi-Fi. Rate: € 113.00 ... € 144.00; select dates below to get current rates. This room features period furniture and a marble bathroom. 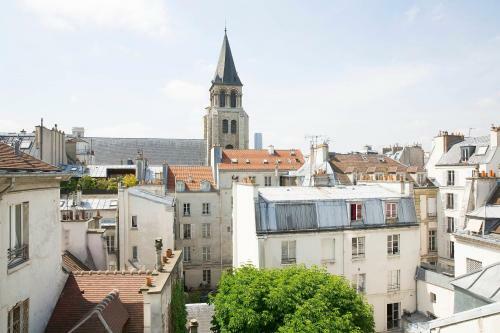 It offers a view of the courtyard. Rate: € 129.00 ... € 169.00; select dates below to get current rates. 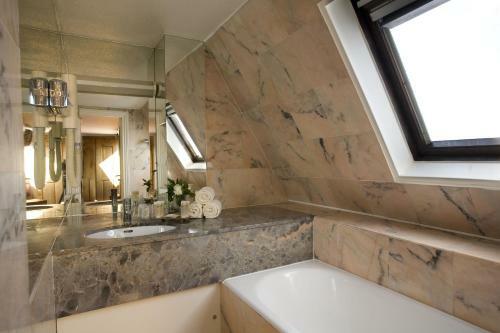 This room features period furniture and a marble bathroom. 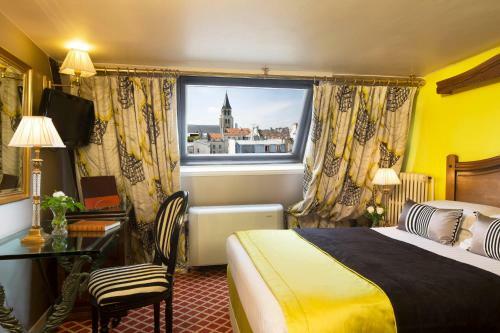 It offers a view of the garden. 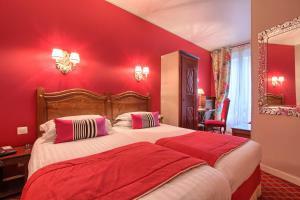 Rate: € 141.00 ... € 189.00; select dates below to get current rates. This triple room features satellite TV. A baby cot can be added to the room if only 2 guests are accommodated.